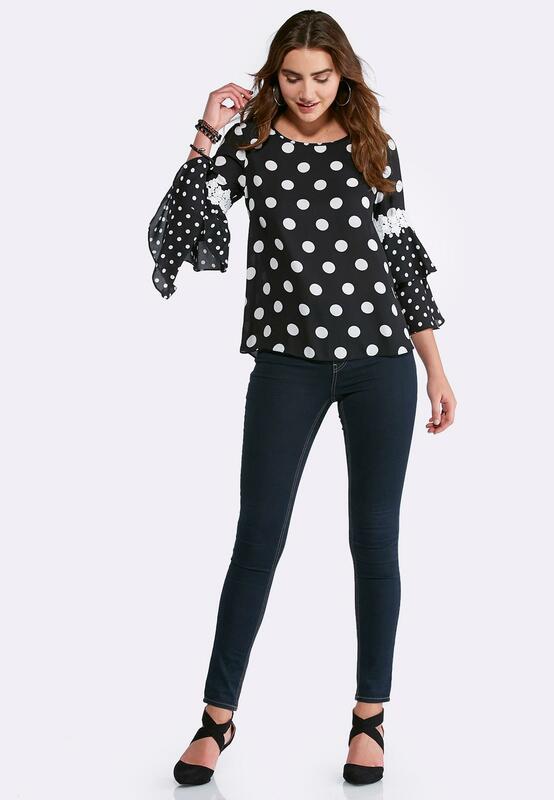 Embody what chic style is all about in this eye-catching woven top, featuring an bold polka dot print, crochet trim and double ruffle bell sleeves. 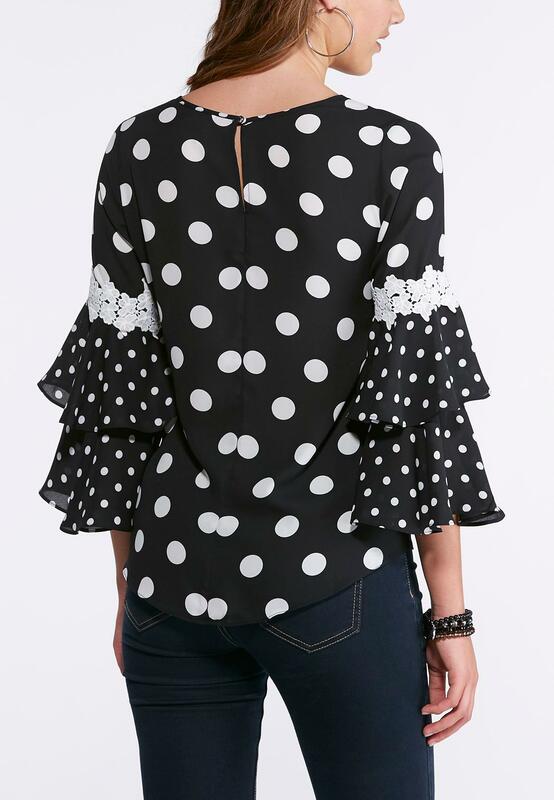 So cute and so flattering - this is my favorite blouse. Unless you are really tall, this blouse will be longer than pictured - like you want it to be. Note, this blouse does not stretch as it is not a knit but I bought my regular size and the fit is perfect. Looks just like spring!